A hotel owner who read our post Why you should have a great travel website recently mailed us and asked us how to create a website for his hotel and choose the right WordPress theme and we thought that it would make for a useful article if we share how to set up a wordpress website and select a theme to create a website without much of technical knowledge. 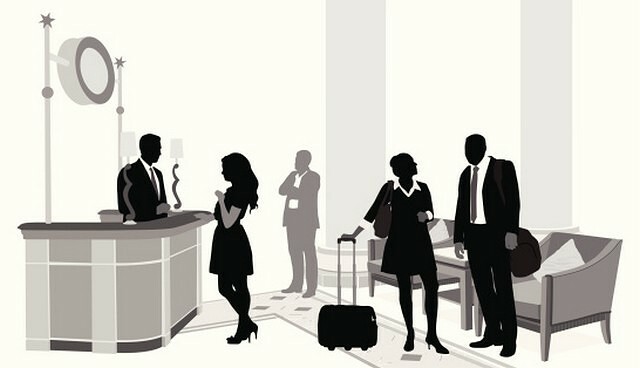 What are the features that will be required in a hotel website ? Should I go for wordpress hotel website? WordPress is the most popular blogging platform available and you can create website for as low as 40 USD. Unless you want to make a bunch of design customizations and spend a lot of time just creating the website which is not ideal for most people, it’s always best to select a theme that has the major features you want. 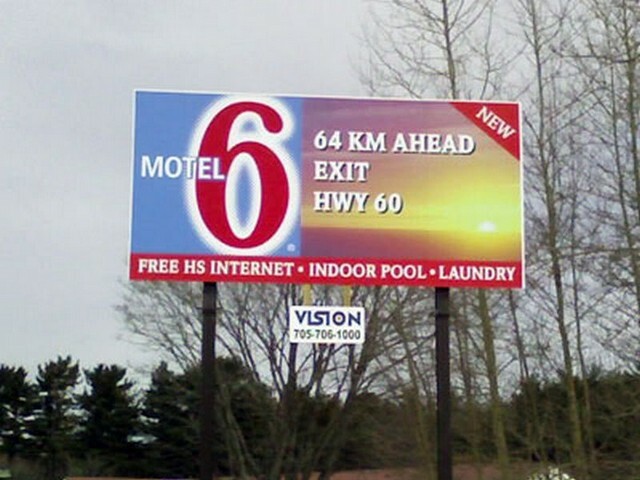 Is it worth paying for a WordPress theme, or can you get away with one of the free hotel wordpress themes? Make a list of the main features that are most important and search for wordpress travel themes that meet as many requirements as possible. That way you aren’t spending time tweaking the code and design later. Is it necessary to go for a responsive theme? Responsive WordPress theme supports different platforms easily like a desktop, mobile or tablet . You will have wonderful responsive themes without paying anything or needing coding knowledge. WordPress is very easy to setup if you use the theme “as is”, but making design customizations depends on how customizable your theme is and how much CSS you’re willing to learn. How to Install a wordpress? In this article, we will show you some of the best hotel wordpress themes for Hotel and Resort Websites. Nation is a responsive and retina-ready premium wordpress hotel theme with a modern and inclusive design. It is responsive and retina ready and comes with an inbuilt booking system and you can adjust the theme’s colors, background, menus and page layouts. Other special features include specific shortcodes, page templates etc . 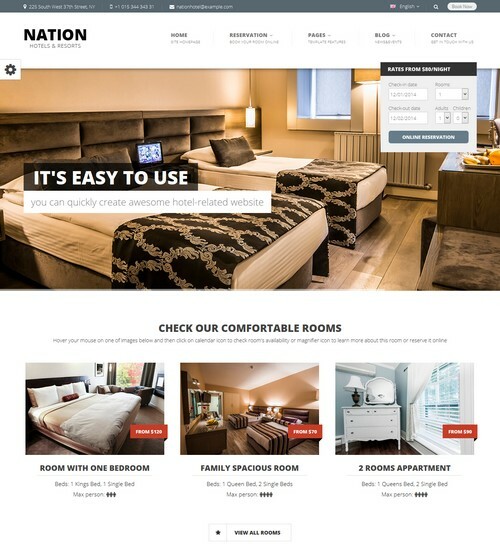 Nation Hotel is a responsive WordPress theme created by using latest HTML5 and CSS3 techniques and specially designed for Hotels, Motels, B&B, Guest House, Hostels and any other hospitality businesses. Nation Theme has a built-in booking system using which you can manage all booking request from the dashboard, setting up booking calendars and easily create checkout forms. The booking system also includes PayPal payment gateway, so you can automatically charge your customer after they finish reservation either from their PayPal account or their credit card directly. This theme focuses on beautifully presenting the best features of your hotel or resort through the elegant full-width slider. The brilliant home page design features multiple sliders that act as interactive menus that cater to resort news, hotel booking, dining options and airport directions. A solid choice. 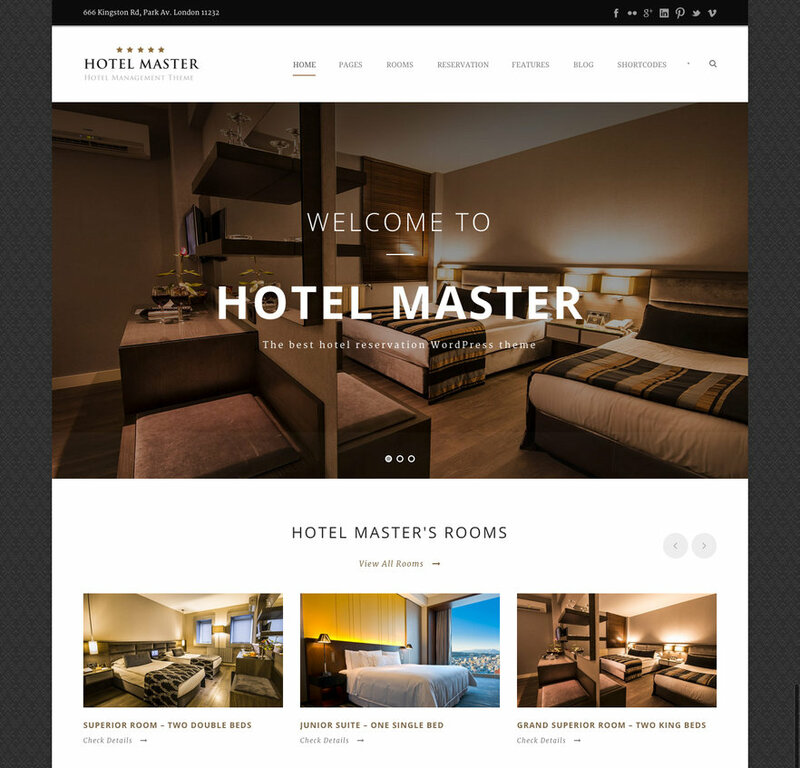 Hotel Master – Hotel & Hostel Booking WordPress Theme is a responsive and retina-ready well designed theme suitable for hostels, hotels, resort, room reservation and provides a range of customisation options that comes in white and black styles. Hotel owners can create a coupon code for your customers detailing out the coupon code, coupon amount, coupon expiration date, discount type as percentage or specific amount. 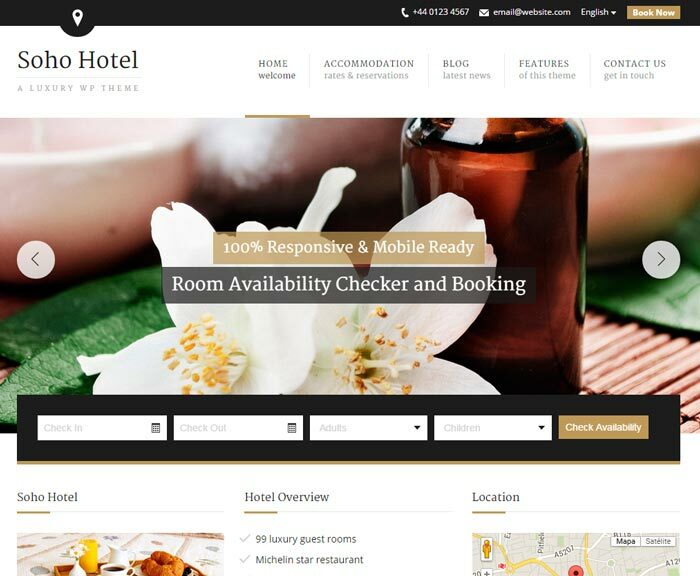 Hotel Master – Hotel & Hostel Booking WordPress Theme has a built-in booking system using which you can manage all booking request from the dashboard, setting up booking calendars and easily create checkout forms. The booking system also includes PayPal payment gateway, so you can automatically charge your customer after they finish reservation either from their PayPal account or their credit card directly. This theme also has a one click option to migrate all the demo data including the revolution slider images and the attached images. There is also a live customiser where you can modify the front end view without extra efforts from the technology team. 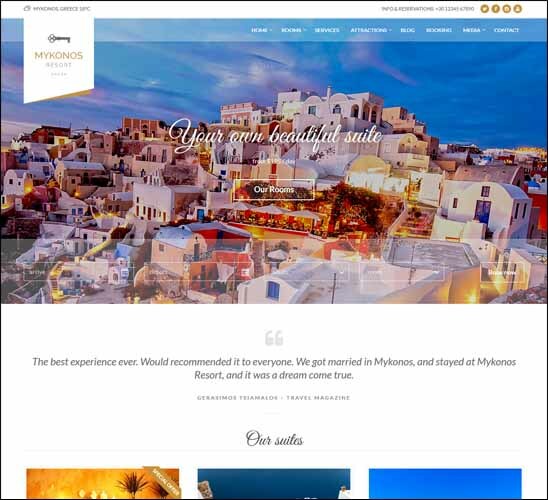 Mykonos Resort – Hotel Theme For WordPress has a responsive layout and was created from bootstrap and multiple Color Schemes as well as drag and drop homepage layout. This theme is ideal for hotels and resorts and has video & gallery templates along with advanced custom widgets that are translation ready and is compatible with discoveroom which is a booking engine for small lodges. The customisations in gallery available with this theme ensures that you can provide all the details about the hotel and resort that will attract the guests along with testimonials of the past guests who have stayed with the resort. The theme has sample content which can be readily imported and documentation is also available for set up and customisation along with an inbuilt booking engine. 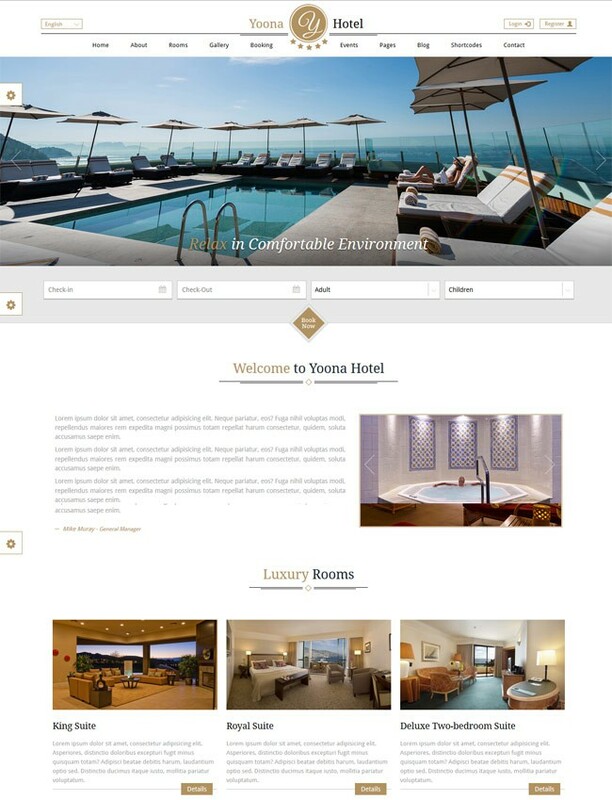 Yoona is a responsive and fully customizable wordpress theme for Hotel and resorts. Yoona has a flat design which supports parallax sections in its design. booking section, price tables, events and blog aee some of its features that make it more complete to have a Great Hotel / Resorts website. The theme has 6 preset colors to change all the styles and this nice hotel booking theme also has an ajax booking system called “Ravis Booking” plugin providing help to check room’s availability and enable the admins to manage the bookings thorugh a booking overview. 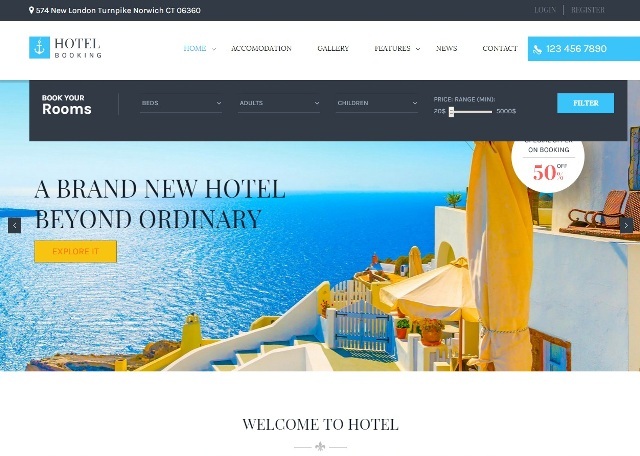 Yoona – Hotel & Resort WordPress Theme is also a winner of best accommodation theme from envato and is really admin friendly with email notifications , booking overview that provides details of all bookings in a single day or month and currency changer providing currency changing options. This theme also has a user friendly admin panel that provides lot of customisation options including boxed and wide layout as well as rating system to monitor the NPS score of guests who are booking through this booking system. Soho Hotel – Responsive Hotel Booking WP Theme has a working booking system, ability to take room deposits via PayPal as well as room availability checker which ensures that when a guest books a room their reservation is recorded in the booking plugin and the dates are blocked to stop booking conflicts. 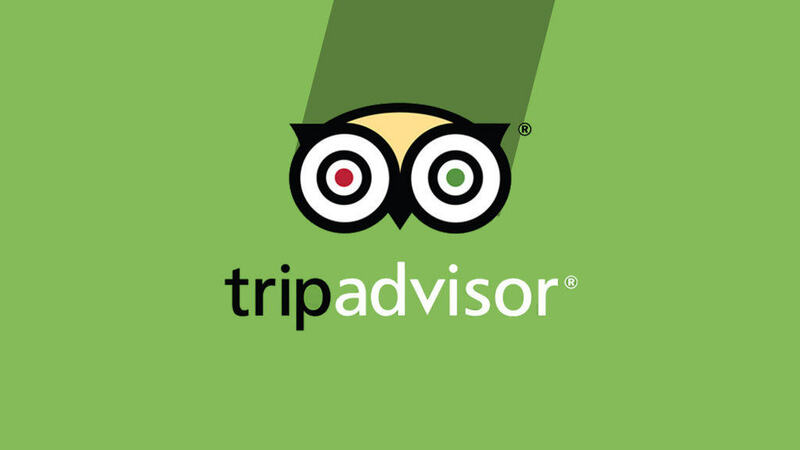 The theme has options to upload testimonials from guests as well as translation option to multiple languages. 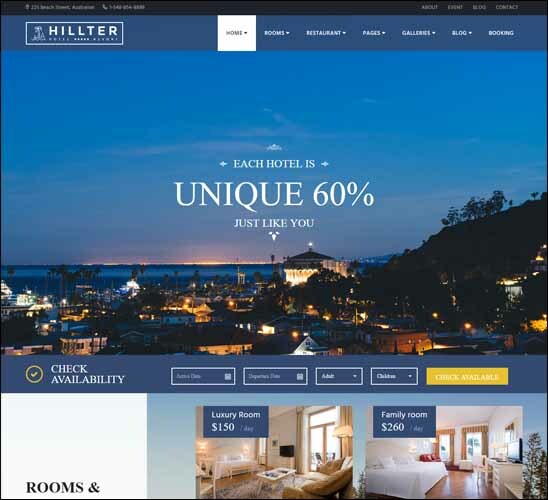 Hillter is hotel booking theme that is ideal for hotels, resorts, villas, B&B’s or any types of hotel industry website. The theme has multiple built-in sliders as well as an eye catching header The theme also provides a pleasant user experience and increasing bookings with an advanced booking form featured on the home page. Hillter is a mobile friendly and responsive design and the gallery helps in exhibiting beautiful and amazing images of hotel to increase bookings . The plugin also has a Visual composer plugin where anything can be built using the shortcodes . One of the highlighting features of this theme is the ability to set Room price by days, weeks, months or even a whole year and entire seasons. Hillter theme also integrates Google Web Fonts, offering a large variety of typefaces to choose from when customizing the theme. Hillter theme is also has woocmmerce integration providing an option to prepay with credit card providing convenience of secure card payments. This plugin also provides an option to easily change the number of guests (adults or children), not only for room types but also for each individual room. 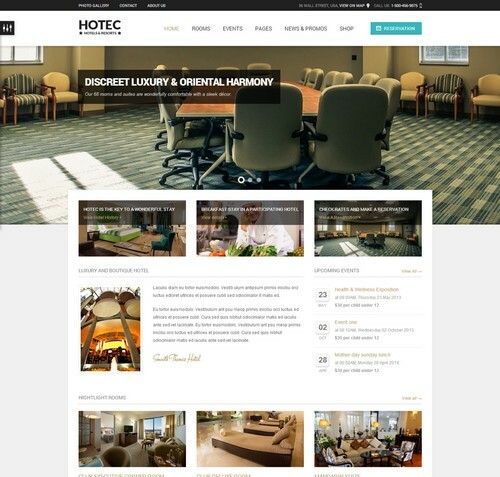 Hotec is a sleek and clean responsive WordPress theme suitable for resorts and hotels. It is responsive and retina ready and the layout looks beautiful at any size, be it a laptop screen, iPad, iPhone, Android Mobile or tablets. This has an inbuilt translator tool and a drag and drop tool using which pages can be fully customised as well. Hotec also has unlimited sidebars and colors as well as an option set a background for the website along with 500+ Google fonts and a custom logo and fav icon. The theme is translation ready and also has post event and room settings. 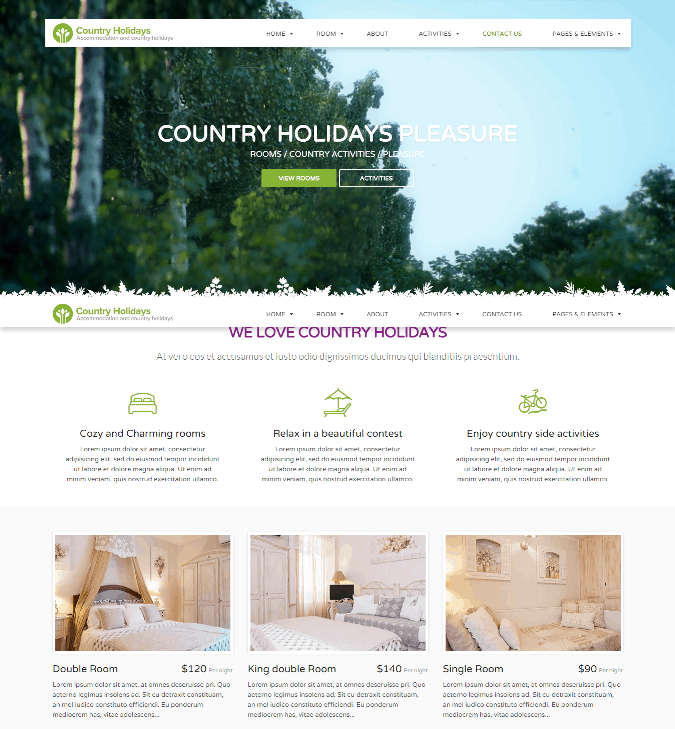 CountryHolidays is a wordpress theme, suitable for country hotels, accommodations and bed and breakfast. It comes with a booking/check availability form and comes . Boxed and wide version included, coded with love and attention. While it is tempting to create so much time to create a website for your hotel and that might sound ambitious, the truth is that wordpress themes are readily available for your to create a website , and your focus should be on a single point : Make it easy for users to book rooms and build website with quality and marketing in mind. Of course, no theme is perfect, and you’ll almost always have to make some compromises. That being said, with the recommendations in this post, you will hopefully be now better informed to avoid the really bad themes and to choose one that is fast, well coded and SEO-friendly and that includes all of the features you need including a booking engine , good quality photographs in a gallery view and customer testimonials. If you have any questions about wordpress themes or setting up a travel website , let us know in comments and we will be happy to help.